This guide was written by perrythepig. If he’s online, check out his stream below! In this guide, we are working toward one goal: crafting an item! This guide will assume that you already have a general sense of the “currency orbs” in this game. At the end of the day, items are the heart of Path of Exile. Whether for the satisfaction of crafting your own gear, the profits from selling to another player, or the pursuit of mirror-worthy item, crafting items is one of the main appeals of the game, and rightfully so. Crafting gear for popular builds is a good way to make currency early in a league. Crafting the best item in the league will earn you both wealth and bragging rights. Knowing how to craft your own items, instead of buying one from another player, has the potential to save you a lot of currency. No matter the reason, when you are ready to use an Exalted Orb instead of selling it to another player, this guide will walk through the entire crafting process. When we craft an item, we are using various techniques to control the affixes of an item. A Crafted Flask can only be magic — at this time, there are no rare flasks in Path of Exile. Most other items, like swords and helmets, can be rare. These Rare Items can have up to 6 affixes. Some items, like Jewels and Abyss Jewels, can only have up to 4 affixes. The crafting methods described in this guide apply to most items, base item permitting. Magic Items can have either one or two affixes. We use an Orb of Transmutation to add one random affix to a white item, which causes it to become a magic item. We use an Orb of Augmentation to add one random affix to a magic item, if there is space. We use a Regal Orb to add one random affix to a magic item, causing the item to become rare. We use a Orb of Scouring to remove all affixes from a magic item, turning it into a white item. Rare Items can have any number of affixes, even one in exceptional cases. We use an Exalted Orb to add one random affix to a rare item. We use an Orb of Annulment to remove one random affix from a rare item. We use a Orb of Scouring to remove all affixes from a rare item, turning it into a white item. To add quality to a weapon, use a Blacksmith’s Whetstone. To add quality to armor, use an Armourer’s Scrap. Eventually, you will want your finished product to have 20% quality. Increased quality on an item increases the chance for it to link via Orbs of Fusing, adds increased physical damage to weapons, and increased defenses for a piece of gear. An armor helmet, for example, will gain increased armor with quality. Blacksmith’s Whetstones and Armourer’s Scraps have increased effect on lower rarity items, such as on white item with no affixes. I recommend adding quality to items at the beginning of the crafting process. In the current Delve league, Perfect Fossils can be used to increase the quality all the way to 30%. For physical weapons and Energy Shield-based gear, this increased quality is very useful. If you decide to add 30% quality to your item, you will need to do this before the crafting begins. In game, you can change your options to view more information about an item’s affixes. In the options menu, under the UI menu, click the checkbox for “View Advanced Mod Descriptions.” By default, holding “alt” while hovering over an item will show these details. If you cannot determine whether an affix is a prefix or a suffix, consider reviewing the list of mods at a 3rd Party website like POE Affix. Before we start crafting, we need a goal. Do we want a weapon with high physical damage? A belt with Life Recovery Rate? Maybe a helmet with “Socketed gems are supported by level 20 Burning Damage”? In modern Path of Exile, it is hard to claim that any item is the “best” sword, belt, or helmet. The diversity of builds means that an item can be extremely good for a build without necessarily being the best for each version of that build. Follow along with the choices for an example of the decisions that go into the crafting process. Because Elemental Hit scales very well with gem level, we will want 2 of our affixes to be devoted to +1 and +2 to level of socketed gems. However, even though we’ve selected “crit” and “Elemental Hit” as the goals for our bow, there are more decisions to be made. Decisions like these will potentially impact what our Base Item will be, or which crafting method we will use. 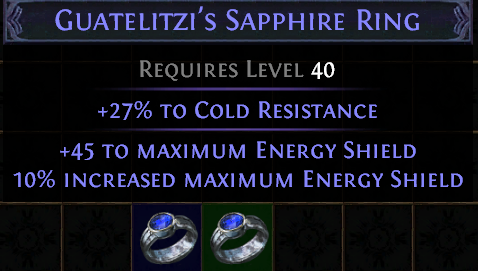 Note: In Betrayal League (3.5.0), a new Veiled Mod was introduced to the game, “+2 to level of Socketed Support Gems.” This prefix, along with an Empower Gem, represents a larger increase to our overall damage. However, for the sake of the guide, we will continue with the craft described above. When it comes to choosing the right base item to craft, we need to consider stat requirements, item levels, and special mods. A nice example comes from helmets. Take a look at the Community Wiki page for Helmets. For Armor Helmets, we can sort by highest level requirement, highest strength requirement, or highest armor. If we want as much armor as possible, we should choose a Royal Burgonet. If we instead want a lower strength requirement and don’t mind losing 4 armor, we can pick an Eternal Burgonet. To understand the difference in base values, let’s investigate bows on the Community Wiki Page for Bows. First, sort by highest critical strike chance. If we want the highest base critical strike chance as possible, we should consider a Death Bow, Decimation Bow, or Harbinger Bow. Harbinger is the best choice here: between those three base items, Harbinger has the highest base DPS. Even though we are using Elemental Hit, where most of the base damage comes from the gem, as long as the Harbinger Bow is available, we would still prefer it over a Death Bow. Next, sort by highest Attack Speed. If we want as fast a bow as possible, we should consider a Short Bow, Grove Bow, or Thicket Bow. Because the Thicket Bow has the highest base damage of the three, we would prefer a Thicket Bow over the other two choices. Alternatively, we could look at the second fastest bow. An Imperial Bow, with only 0.05% less attack speed than a Thicket Bow, has a powerful implicit: “24% increased elemental damage with attack skills.” If we determine that a slightly slower bow is worth this increased elemental damage, we can consider using an Imperial Bow instead of a Thicket Bow. Item Levels determine what tier of an affix is able to appear on an item. A bow with item level 2, for example, can have tier 9 physical damage to attacks. This affix is called “glinting”, and adds between 2-5 physical damage. A bow with item level of at least 77, on the other hand, can have tier 1 physical damage to attacks. This affix is called “flaring”, and adds between 29-68 physical damage. In this way, we need to ensure that our base item has a high enough item level to include not only the affixes that we want, but also the highest tier of those affixes. Item Levels can also be used to block affixes from appearing. For example: one affix for bows, “Adds # to # Chaos Damage,” only appears on bows over the item level 83 and higher. If we ensure the item level of our bow is only as high as it needs to be for our affixes to appear, we can block unneeded affixes from appearing at all. Shaper and Elder items, denoted by a special background and crosses on the sides of the title of the item, have additional affixes that can appear. Even if You use a Orb of Scouring on these items, they are still Shaper/Elder items, and can still roll those Shaper/Elder affixes. It’s important to note what Shaper and Elder mods are available on an item, and whether those affixes directly compete with one of the affixes that you are otherwise looking for. For example, on our bow, we want Attack Speed, which naturally goes up to 16%. 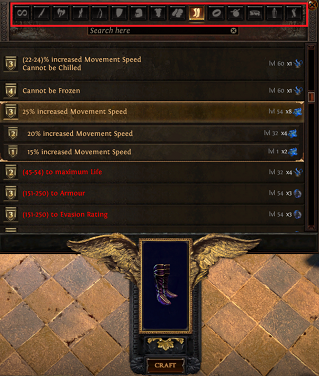 However, there is a Shaper Attack Speed affix, which is a hybrid affix: “12% Increased Attack Speed / 20% Chance to deal Double Damage.” These mods are exclusive, and cannot both appear on an item. Just like how we used the Item Level to block out potential unwanted affixes (the “Adds # to # Chaos Damage” example above), we can use Bases in the same way. If you do not want any Shaper or Elder affixes on your item, then maybe a normal item will be sufficient. 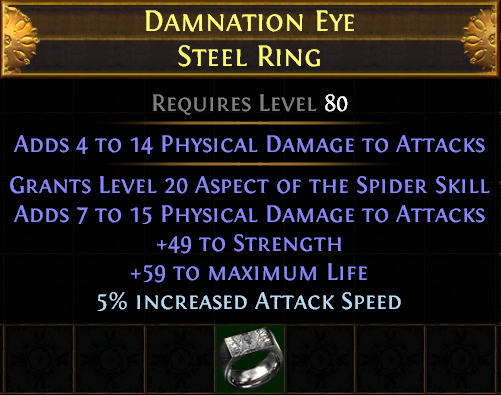 The Elder hybrid affix for “attack speed” & “increased attack speed if you have killed recently” is very good, and we want this on our final item.The bow should be as fast as possible, but we have determined that losing a little attack speed in favor of an elemental damage implicit yields higher damage. For the highest tier of affixes that we want, an item level 75 bow will suffice. *If you wanted to leave ourselves open to the possibility of the affix, “Adds an Additional Arrow”, then you could craft with an i82 Elder Imperial Bow instead. This isn’t exactly what we are looking for in an ideal item, but because this affix is very valuable, you could use this base instead. I will use the word “roll” to describe randomizing values on an item. Rolling an item with Chaos Orbs signifies using multiple Chaos Orbs on an item to find a desired affix or set of affixes. Rolling an item with Alteration Orbs signifies repeatedly using Alteration Orbs on a magic item to find one or two good affixes. A well-rolled item is item with good affixes, high-tier affixes, or high values within a tier. This method involves trying to find two good affixes on a magic item, and then regaling it. It is recommended to try to find the rare mods first, via Alterations and Augmentations. For example, if you want “Elemental Damage with Attack Skills” on an amulet, you would prefer to roll that first, and then regal some other useful modifier. Not only can you use the Artisan’s Bench to add life or elemental resistance to a rare item, provided that there is an open suffix, but a high tier offense affix like “Elemental Damage with Attack Skills” is relatively uncommon. This is also a good crafting method when one of the affixes is immensely more important than the other stats. Shaper and Elder rings, which can have the affix “Curse enemies with level # ____ on hit,” are often rolled with this method. This is a great crafting method for jewels, as jewels have a maximum of 4 affixes instead of 6. For flasks, which can have a maximum of two crafted affixes (one prefix, one suffix), this is the crafting method of choice. For our bow, if we used this method, we would want to roll “+2 to level of socketed bow gems,” and augment + regal from there, looking for other good affixes. 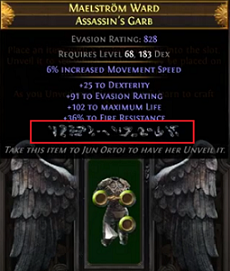 Because we want a specific Delve affix, we cannot use this method. Economically, these three methods can be appropriate at different times during a league. Early in a league, when chaos are valued relatively highly, crafting an item with scour + alchemy may be relatively more appropriate than randomizing affixes with Chaos Orbs. Later in a league, when Chaos hold relatively low value compared to Exalts, it can be more economically viable to roll items in this way. For the affixes that we are looking for on our bow, we would need to get extremely lucky. Because these crafting methods represent a high investment / low probability approach, I recommend against this method for our bow. The most notable use of Essences is for Corrupt Essence affixes. The Corrupt Essence are a group of rare Essences with powerful uses: Essence of Horror, Essence of Delirium, Essence of Insanity, and Essence of Hysteria. Rolling an item with Essences is a fairly controlled method of crafting. The deterministic nature of Essences mean that this approach is great both for new leagues and leveling, and late league crafting. Using Essences in a combination with Master Crafting, which we will discuss in Section 8, is a great tool. Because we are looking for a Delve-specific mod on our bow, we cannot use this approach. However, if you did not need the affix “Socketed Attacks deal 20% More Damage”, then using Essences to craft “+2 to level of socketed Fire/Cold/Lightning/Bow Gems” would be a versatile approach to crafting a bow for a crit Elemental Hit build. Beastcrafting was introduced in Bestiary League (3.2.0). As of Betrayal League (3.5.0) this method of crafting has been added to core. For a complete list of the available crafts and the required beasts, please reference the Community Wiki Page for Beastcrafting. To craft an aspect onto any piece of gear, all that is required is an open Suffix on that item. Referencing the Community Wiki Page, find the corresponding beast that is needed for your craft. For example, to put Aspect of the Spider on a ring, take that ring to your Menagerie, place it in the Blood Altar, select “Aspect of the Spider skill”, then slay the beasts. Second, that the item have a Random Prefix to remove. This crafting technique can be useful if in various gambling scenarios, where one outcome is very desirable, but the other outcome ruins the item, so proceed with care. If an item has 2 Prefixes or 2 Suffixes, then this crafting technique is the equivalent of adding a mod as another Prefix/Suffix – so the result would have 3 Prefixes or 3 Suffixes. For example, if an item has 2 Suffixes, you can then craft a Prefix onto that item via your Crafting Bench. When you proceed with this Beast Craft, that crafted Prefix will be “randomly removed,” and a Suffix will be added. In this scenario, you might consider using the “Create an Imprint” recipe. This acts very similar to an Eternal Orb, which are no longer available in the game. That should hint to you at how powerful this crafting option is. Unlike Eternal Orbs, this Beast Crafting recipe only works on Magic items, and not on Rare items. Step 2: Select “Create an imprint” and defeat the beasts. Step 3: You now have your Magic Item and an “Imprint”. You are now free to Regal your Magic Item. Step 4: If you hit a desirable mod with your Regal, congratulations! Otherwise, you have the option to right-click on the “Imprint” and left-click on your new Rare Item. Doing so will revert the Rare to its original state, effectively turning back time. This regal is not very good. Using the Imprint on the Ring will restore the ring to its original state as a Magic Item with only one affix. If we instead used an Annulment Orb on the Rare Item and accidentally Annulled the Warlord’s Mark, we would still be able to use the Imprint to restore the ring to its original state. The Imprint recipe, when used in conjunction with other crafting methods, can be complicated but very rewarding. This is an extremely powerful crafting method not only because of what it can split, but also because of what it does NOT split. If you split a 6-linked item, the outcome will be two 6-linked items. If you split a item-level 100 Hubris Circlet helmet with 30% quality and 3 white sockets and a Tornado Shot enchantment, the outcome will be 2 of those items. Now that we have isolated the one affix that we want, we are free to regal that item and work forward from there. New to Path of Exile as of 3.4 Delve League, Fossil Crafting is a very involved process of introducing and removing affixes from the pool of possible outcomes. Online tools like POEDB have mod filters to help players sort through fossils, mod groups, and specific mods. Other than using basic orbs like Chaos and Exalts, Fossil Crafting represents the only other way to craft Jewels and Abyss Jewels in the game, currently. In general, this crafting process is less deterministic than Essence Crafting, but more powerful overall. The fact that a single fossil can remove an entire set of mods from the possible outcome means that, for example, a crafter can remove the possibility of rolling Elemental Resistances on a weapon, if desired. Instead of only ensuring that “+# to Maximum Life” appears on an item, a Pristine Fossil also removes the possible Armor, Energy Shield, and Evasion rolls from an item. By using multiple fossils to remove unwanted mods and introduce new desirable mods, crafters exert a large amount of control over the outcome of the crafting session. In Delve League, fossils and resonators were relatively affordable, so this crafting approach was extremely useful. 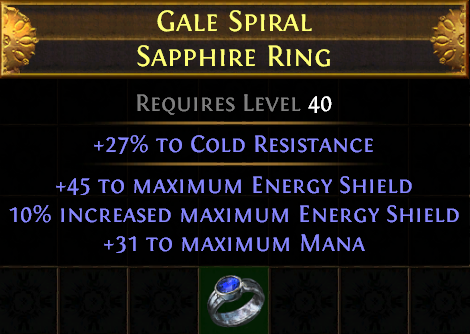 Because we want a Delve-specific affix, we only have one option: Fossil Crafting. Whatever crafting method we select, we need our crafting materials. I have two recommendations for acquiring these materials, rather that simply searching poe.trade or pathofexile.com/trade. When it comes to purchasing materials like Essences and Fossils, buying in bulk is a great quality of life. At times, you may pay a higher price for this convenience, but time is money. Consider setting Buy Orders only to buy in bulk. Price your own buy order competitively. After our crafting method yields a good result, we need to decide how to finish the item. In general, this means that we want to keep good affixes, remove bad affixes, and use exalts to get 5 or 6 affixes on the item. In the world of crafting in Path of Exile, there is a LOT of information to absorb. This section alone merits a formal guide, or hours of video content. Because exalts tend to represent a large investment in currency, I highly recommend that you consult an experienced player before you use exalts in this way. If we have 3, 4, or 5 affixes that we are content with, we can simply finish an item by using the Artisan’s Bench in our hideout. This cannot add a mod to an item if that mod is already on the item. For example, if a bow has “#% Increased Critical Strike Chance”, we cannot add “#% Increased Critical Strike Chance”. This crafting method is relatively inexpensive, and can be a simple way to finish a crafting session. Exalts add one additional affix to a rare item. Exalting an item (“slamming” an item) like our bow, which has 5 affixes already, would finish the item. However, an item with 6 affixes is MUCH harder to craft than an item with 5 affixes, and involves gambling with an Orb of Annulment. In general, if an item already has 3 or 4 very good affixes, it is worth using an Exalt on. Economically, you can look up an item in poe.trade or pathofexile.com/trade that has your item’s attributes + the best possible outcome of the exalt you’re about to use. By investigating the market value of those items, you can determine whether it might just be better to buy an item instead of exalting your own item. Now when we exalt, we will not hit “# to maximum mana”. After exalting, we can use the Crafting Option “Remove Crafted Mods” to remove the Mana prefix altogether. An Orb of Annulment (“an annul”) removes a random affix from a magic or rare item. Whenever an item has 6 affixes, any crafting on that item needs to begin with Orb of Annulment. Annulments are the opposite of an Exalted Orb: just as random, and just as powerful. An item with 4 or 5 good affixes and 1 bad affix is the perfect candidate for an Orb of Annulment. In this guide, we will cover two power Master Crafting options: “Meta-crafting” by locking Prefixes and Suffixes, and “Multimodding”. This crafting method is potentially very expensive, but allows to a tremendous amount of control over the outcome of an item. Someone could potentially spend 100 Exalts on an item with this method without getting the desired outcome. This crafting method is based on the fact that an Orb of Scouring, which normally removes all affixes from an item, respects the “____ Cannot be Changed” Mods. If we scour an item that has 2 Prefixes, 2 Suffixes, and also the suffix “Prefixes Cannot Be Changed,” then the outcome will be a rare item that only has those 2 Prefixes. We will meta-craft our bow. Again, this crafting method has the potential to cost many exalts, and has no guarantee of a good outcome. However, because this is one of the most powerful crafting methods available, it is worth understanding. When looking for “good” suffixes, we are not only looking for the right affixes, but also for a high tier of that affix. For example, which “10% increased Critical Strike Chance” is the right affix, it is nowhere near our desired tier 1 roll of 35-38%. If you are familiar with crafting “+1 to level of socketed gems” on weapons, then you’ll recognize that there is an extremely strong meta-crafting option here. On the bow below, if we were missing the “+1 to level of socketed gems” prefix, we could use the Crafting Option, “Cannot Roll Attack Modifiers.” There are some amazing things that can be done with meta-crafting, but this guide will only serve as an introduction to this crafting method. Scour the item. Now we have the 3 prefixes we want, and no suffixes. Block an undesirable suffix. We will craft “+# to Dexterity” on the bow. Exalt the bow. If we hit a good suffix, we continue to step 5. Otherwise, see Step 6 below. Exalt the bow for a second suffix. If we hit a good suffix again, we can either (1) craft the 6th affix onto our bow, which I recommend, or we can exalt the last open suffix. If we hit a bad suffix with the second exalt, continue to Step 6 below. If we exalted an undesirable suffix with the first exalt, we want to return to our 3 good prefixes. Remove the crafted Dexterity with, “Remove Crafted Mod.” Until you do this, other crafted mods will cost one additional Orb of Scouring. This is effectively the same outcome. Now return to Step 1 above, and continue to iterate through these steps. While crafting for ourselves means that we can potentially use the outcome, crafting for others can yield us a profit. During our crafts, if we find a set of mods on an item that we can sell to another player, it may make more sense to put that item up for sale, buy a new base, and start from scratch. When selecting a base item, item level, or which mods to keep moving forward with the crafting process, keep in mind which builds other popular, and which combination of affixes may sell for a high price. As of 3.5 Betrayal League, the “Master Crafting” system has been revamped. In previous leagues, you would need to complete Master Missions in order to level your Masters, all the way to level 8. As you leveled up the Masters, you would gain powerful Crafting Options for various pieces of gear. Instead of having 7 distinct crafting benches, we now only use one: the Artisan’s Bench. Instead of unlocking new Crafting Options by “leveling” our Masters, we now unlock new Crafting Options by completing Master Objectives. As you continue to “Unveil” these Veiled Mods, they will become available for you to Master Craft on other items later via the Artisan’s Bench. The craftable versions of these Veiled Mods also become stronger (higher tiers) each time you unveil that mod with Jun. Crafting a powerful item can be one of the most exhilarating experiences in Path of Exile. Whether you’re crafting something as small as a Flask or as big as a Vaal Regalia, finding just the right mods on an item is both satisfying and profitable. Path of Exile is a complex game that rewards game knowledge and time investment, and crafting is no different: it takes time and patience to find the right mods. Good luck on your crafting adventure! thanks a lot for such a wonderful explanation. This is the best crafting guide i’v ever found, very detailed, clean! Excellent guide, thanks for such a nice explanation! OMG I really enjoyed the explanation, it was pretty clear and easy to understand, the guide I was waiting for, thanks. Are you thinking about update this guide soon? You are the man !!! So if you place mods on a multi-modded item can they be changed without removing the multi mod? O Hi Mark!…. Perry we expect updates my boi. Also we all know your the better piggy.